first in my series of immortalized entomology books is the spirit of the moth book. 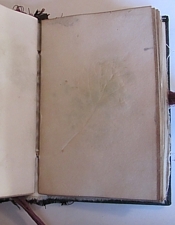 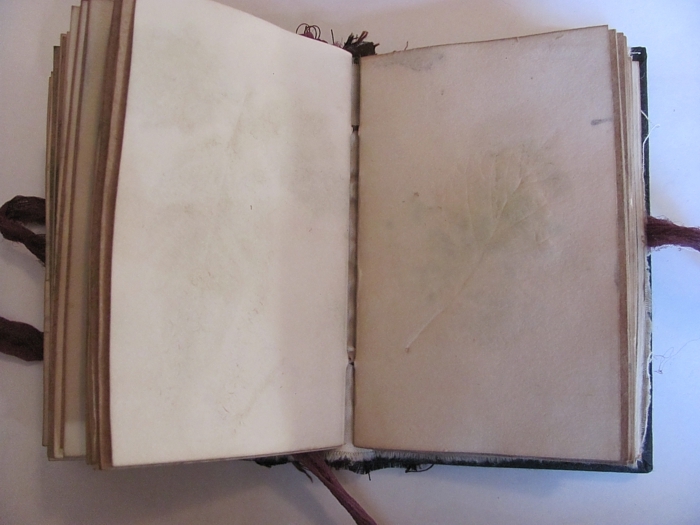 it has 130 hand-dyed pages, many with leaf patterns and imprints. 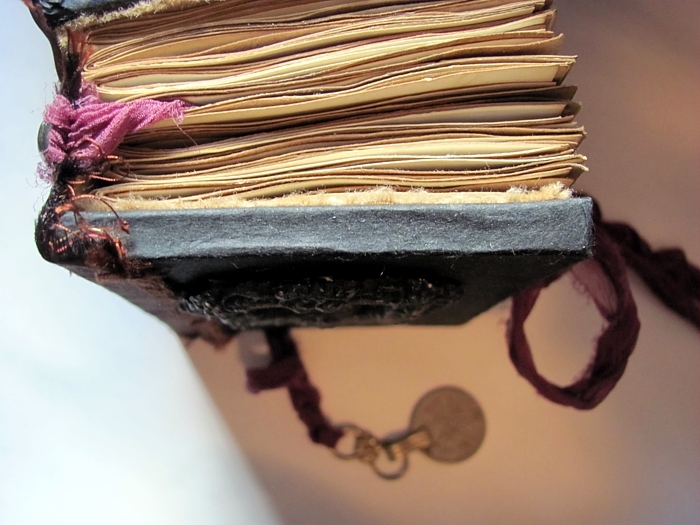 the pages alternate from naturally dyed coffee and tea white paper, to india ink dyed brown paper. 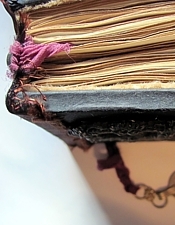 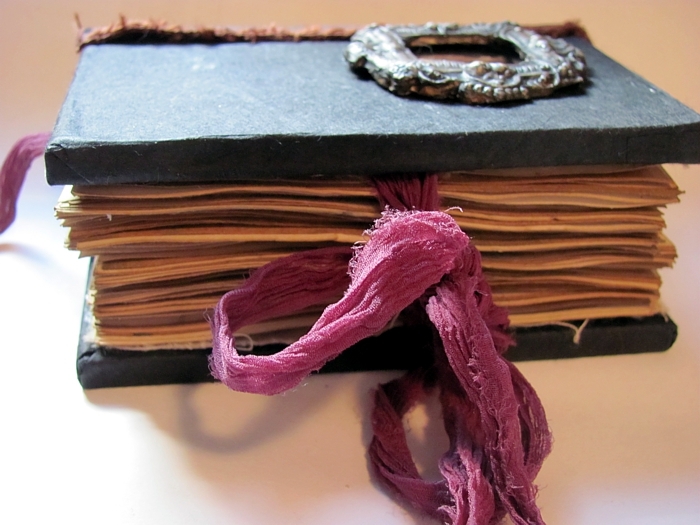 the spine of this book is adorned with gorgeous lengths of two kinds of silk ribbon and ancient tribal metal buttons (handmade by nomadic tribes in the middle east). 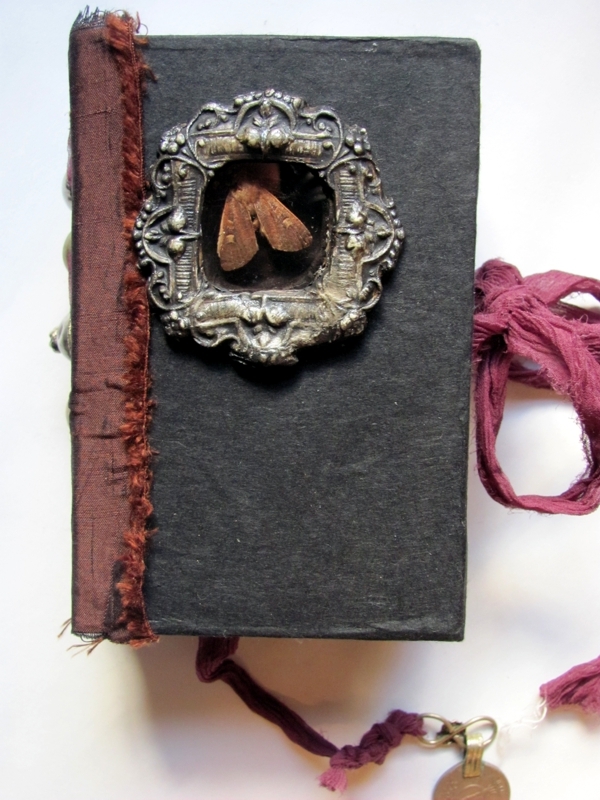 the front and back are covered with lovely old black handmade paper with a beautiful texture, and the inner covers are lined with unbleached, naturally dyed/aged muslin. 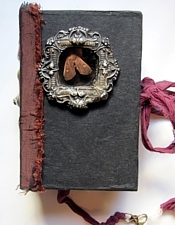 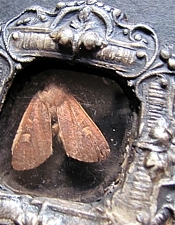 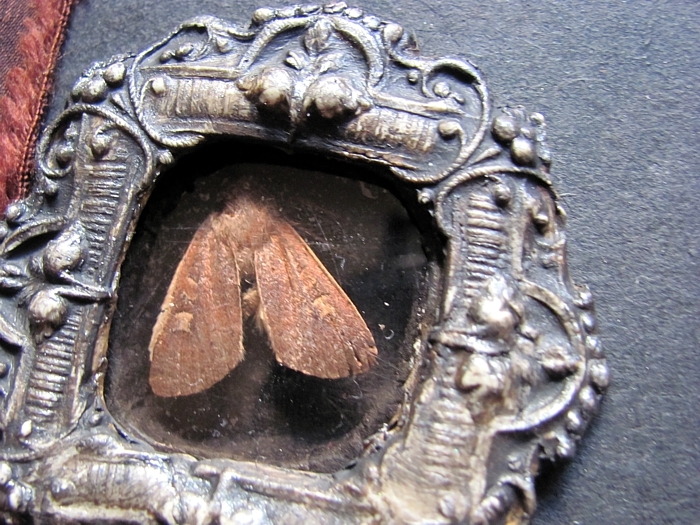 on the cover, a real moth is inset with a mica sheet "window" covering and a frame embellishment i made from apoxie clay and paint (it's not metal). 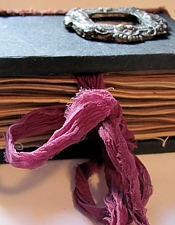 both the tie closure and vintage coin charm bookmark are made from lovely semi-sheer reclaimed purple fabric ribbon. 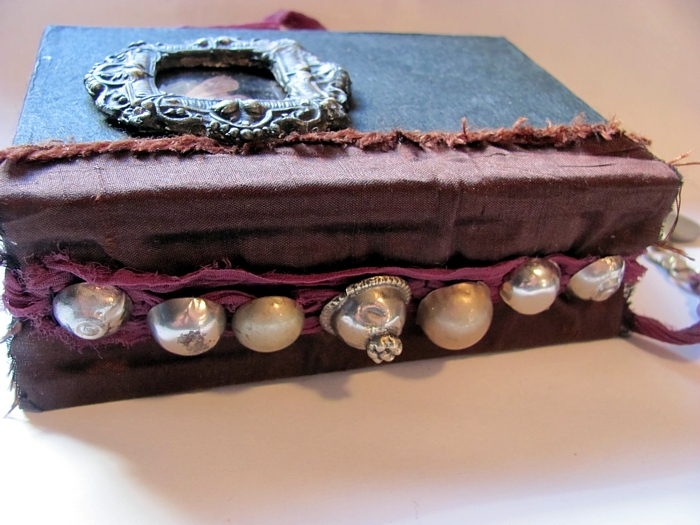 this is a one of a kind book that iI spent many hours creating for you or someone you love enough to buy it for -- the holidays are coming! 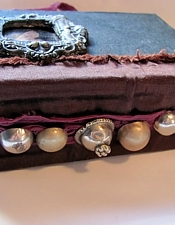 measures 3" x 4.5" and is roughly 1.75" thick.